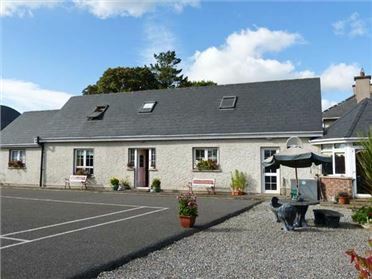 Mees House is a family-friendly, detached cottage located on the outskirts of Glenamaddy, a friendly village in the north east of County Galway, sleeping eight people. This all ground floor cottage has two double bedrooms (one with an en-suite shower room), two twin bedrooms, a bathroom, a separate basin and WC, a kitchen with a dining area (seats 4), a utility room, a dining room (seats 6) and a sitting room with an open fire (seats 5). Outside there is ample off road parking, a large garage for storage and an enclosed, lawned garden with a rear patio with furniture. 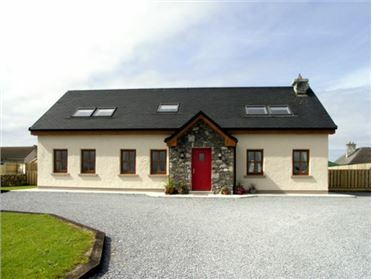 Mees House is a wonderful base for your Irish holiday. All ground floor. 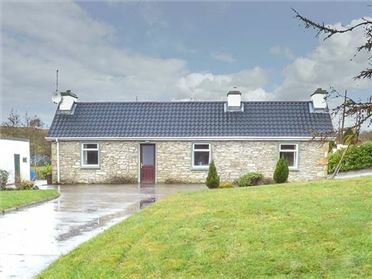 Four bedrooms: 2 x double (one with en-suite shower, basin and WC), 2 x twin. Bathroom with bath, hand-held shower, basin and WC. Separate basin and WC. Kitchen with dining area (seats 4). Utility. Dining room (seats 6). Sitting room with open fire (seats 5). Oil central heating with open fire. 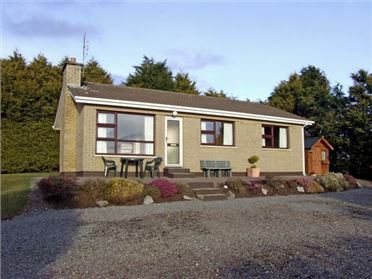 Electric oven and hob, microwave, fridge, freezer, washer/dryer, dishwasher, TV with Saorview, DVD, selection of books, games and DVDs. Fuel, power and starter pack for fire inc. in rent. Bed linen and towels inc. in rent. Ample off road parking. Large garage for storage. Enclosed, lawned garden with patio. One well-behaved dog welcome. Sorry, no smoking. Shop and pub 1.5 miles.